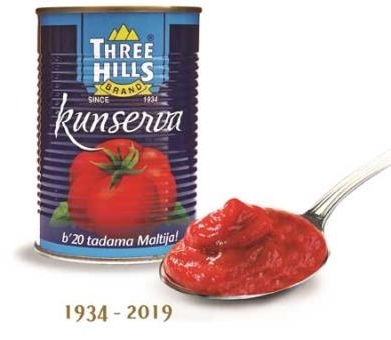 The year 2019 marks the 85th anniversary of Three Hills Brand Kunserva. This much-loved Maltese delicacy started way back in 1934, in Gozo, and till today it is still being produced according to the same original Gozitan recipe. The story all started by a humble businessman from Xewkija, Ganni Magro, who began his career as a general provision merchant in 1916. 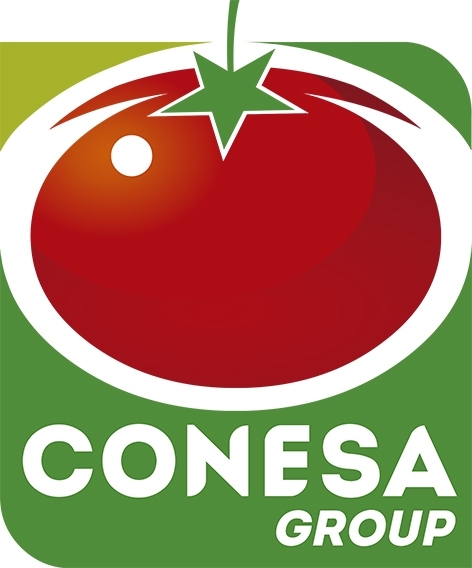 In the twenties, Gianni's three male sons, who by then had joined the firm with their father to form Magro Brothers, ventured into yet another field that would eventually become the firm's main business activity to present times; they started to contract and purchase tomatoes from Gozitan farmers. This pulpy fruit was already used in the local kitchen during the summer months when the crop was at its best, but it was not cultivated commercially. By 1934, the three Magro brothers had completely taken over the business from their father and established themselves as leading general merchants and food distributors in Gozo. 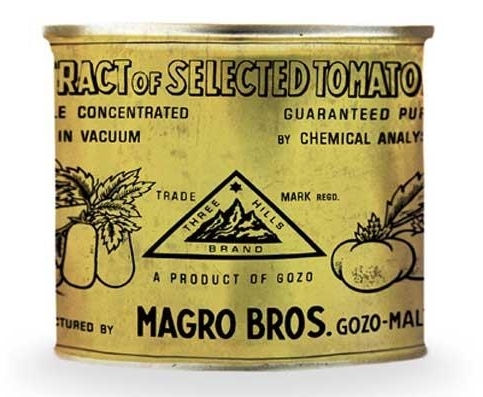 The Magro Brothers decided to start processing tomatoes to produce Kunserva, tomato-paste - a totally new venture for their firm. 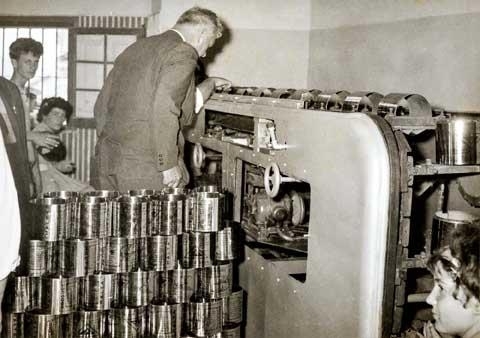 In 1934, the first Kunserva production was canned in containers with a capacity of five and a half pounds (5 pounds 8 ounces), equivalent to around 3 kg. Grocers would then sell the Kunserva by weight and roll it in a grease-proof paper. The Three Hills Brand was an immediate success and it was destined to become, in a few years' time, a household name in Gozo, in Malta, and even abroad. The ingredients used are all natural and its exceptional taste comes from the Maltese summer grown juicy tomatoes and the well-guarded, secret recipe and formulation created by the Magro family. Kunserva is used widely in the Maltese kitchen. Nothing tastes as delicious as hard-crust Maltese bread spread with Kunserva, or ravjul biz-zalza (ricotta-filled ravioli with a Kunserva and garlic sauce), not to mention the traditional culinary dishes such as stuffat tal-fenek, laham jew qarnit (rabbit, meat or octopus stews), soppa ta' l-armla (widow's soup), imqarrun- il forn (baked macaroni) and most pasta sauces! The addition of Kunserva to our dishes simply gives the dishes the signature of Maltese flavours! Today, the traditional Kunserva is available in 200g and 400g metal cans as well as for the catering sector. Kunserva is produced as well in glass jars and convenient squeezy tubes. Today's lifestyle demands a more health-conscious diet. In response Three Hills Kunserva can be enjoyed with no added salt and with 30% Less Sugar added. For the adventurous ones, one can also try Kunserva with added tastes including mint and onion, basil and garlic or the pungent version; the Kunserva Pikkanti. From 1934 till today, 85 years on, Three Hills Brand Kunserva is still very much "Fil-Qalb tal-Maltin" and will continue to be one of Malta's staple kitchen ingredient!